Man, talk about a simple and attractive solution. 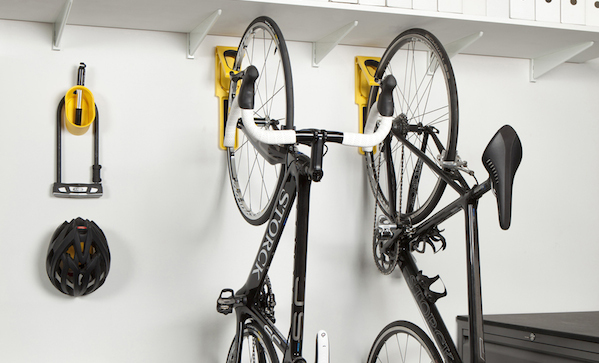 You need space, you need bicycle storage, your garage, shed, or mud room has a spare wall—here’s the Endo ($70), solution to all your problems. Well, all your bike storage problems.